It’s not news that we have a childhood obesity problem in Texas. More than 15% of high school students were obese in 2015, according to a recent report from the Robert Wood Johnson Foundation. These teens have a much higher chance of being overweight or obese as adults, which in turn can lead to a host of health problems, including high blood pressure, high cholesterol, joint problems, and type 2 diabetes. What is news, perhaps, is that the picture is not necessarily getting bleaker. There are even signs of improvement. The obesity rate among 2-4 year old WIC recipients was 15% in 2014, down from 17% in 2008. Among high school students, the rate has been essentially static since 2007. And overall rates of diabetes and hypertension, which are often caused by obesity, appear to be trending downward, or plateauing, after decades of steady increase. All of which is to say that childhood obesity remains a major problem for Texas, and Texans, but it is not necessarily an intractable one. 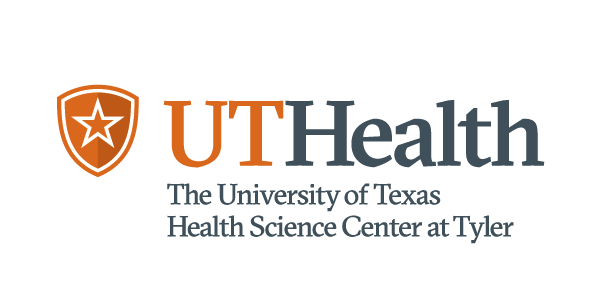 Researchers across the UT System are working hard to gain a clearer picture of what works best to encourage and support children and adults in overcoming obesity. From classrooms to the doctor’s office and everywhere in between, here are some highlights of what’s being done to keep and get Texans healthy. Dr. Steven Kelder, co-director of the Michael & Susan Dell Center for Healthy Living, believes it is critical to address childhood obesity early through school-based health education. His Coordinated Approach To Child Health (CATCH) program takes a complex approach to obesity prevention that combines recommendations around classroom education, community involvement, nutrition education, and individualized recommended daily activity. “It’s a tough problem to study, because there are so many factors. Our focus is on prevention,” said Kelder, who is a professor with the Austin regional campus of the UTHealth School of Public Health. The CATCH program works with schools to help figure out to what extent they should support students’ physical activity and healthy eating habits. While a child needs between 60 to 120 minutes of activity per day (including activity in and out of school), it’s up to each school to determine how much should be provided in school. The same goes for food and nutrition education. “There’s no clear ‘dosage’ as to where the precise line is of what and how much is needed, but we’re constantly working to find a better way,” Kelder said. Kelder focuses on schools because he sees how integral they are in a child’s development, and believes they should assume some responsibility toward physical health. Academics and health are like tectonic plates, he says, separate but overlapping systems that affect each other when they start to shift the wrong way. For instance, obesity and poor health are known to lead to absenteeism and other learning, attention and performance issues in school. Kelder believes the key to improving the future for young Texans starts with their health, ensuring they can be in the best possible condition to learn and prosper in the classroom. For more information on Kelder and the CATCH program, visit catchinfo.org. Dr. Amelie Ramirez, director of the Institute for Health Promotion Research at UT Health San Antonio, also focuses on Texas youth. She fears that at the current rate, many kids won’t outlive their parents. Working through the Salud America! program, Ramirez and her team encourage people to take action to drive healthy community and school change. “We’re trying to get away from using the word ‘obesity.’ It’s a pretty negative term and it’s all boiling down to diet and exercise, so it’s really just about how to change policies and systems to enable families to live a healthier lifestyle. Healthy children, healthy weight,” Ramirez said. Her interest in the field came after she led a 38-county health review that identified obesity and diabetes as top priorities for prevention in south Texas. Years ago, Ramirez created a Latino cancer screening model that used research, role models and public health messaging to overcome the behavioral obstacles of coming in for screenings. She set out to find if a similar program would work when applied to childhood obesity. The result, thanks to support from the Robert Wood Johnson Foundation, was Salud America! When beginning the program, Ramirez first had to build a foundation of research, because there wasn't enough known about the healthy weight-related factors that impact the Latino populations that she serves. She found several problem areas, including that many Latino-majority schools were not providing enough opportunities to exercise and were less likely to offer nutritious foods, while many Latino neighborhoods lacked access to healthy food options and safe spaces for physical activity. This research armed her team with the information they needed to begin to advocate for healthier children. Currently, Ramirez and her team serve in an advocacy and educational role, creating culturally relevant multimedia communication designed to motivate people to work for changes in schools and communities. These include tools and role model stories that promote choosing water over sugary drinks, healthier food in schools and in local corner stores, safer places for children to play, and better menu labeling. Salud America! also advocates for better support for Latino families in the healthcare, mental health and early childhood development realms. Overall, the goal is to get the message out that it’s possible for anyone to support and promote a healthier life for Latino children and families. For more information, visit salud-america.org. Dr. Sarah Barlow, professor of pediatrics at UT Southwestern Medical Center, believes in the importance of moderate- to high-intensity behavior change as an effective strategy for addressing obesity. She also knows that such a strategy, in the abstract, is useless if relevant programs are not available and if patients and families do not (or cannot) use the programs. She’s recently focused on the factors that influence a patient to follow a weight-management treatment recommendation. Barlow hopes to create new ways of ensuring patients get on track to a healthier lifestyle by identifying what prevents them from starting in the first place. Using healthcare data, Barlow and her team study whether healthcare providers address weight problems and what happens when a healthcare provider recommends that a patient start a weight management program. Through their analysis of success and failure rates of adopting this behavior change, they can then identify key factors in successful interventions. Their overall goal is to improve utilization of the many weight management programs, spread awareness, and monitor outcomes. “By working with healthcare providers, we help promote more than just ‘brief advice’ but instead really get patients to take action—while also connecting to the community and being a realist in understanding the limits of what each organization can do,” Barlow said. She emphasizes the importance of the relationships between community organizations, healthcare providers and parents. Each plays a significant and distinct role in ensuring a healthier Texas. Parents must first recognize that their child’s weight gain is a problem, something healthcare providers can help them with while promoting the health benefits of taking action. The provider can then connect the parent to community resources to help intervene and encourage a healthier lifestyle. Providers will do a better job if community resources are readily available. Barlow worked in this field prior to coming to UT Southwestern, and places high importance on keeping a realistic approach to what community and healthcare organizations can provide. By analyzing the line between reasonable and unreasonable expectations, she hopes to find the sweet spot that can ensure the most success among those needing weight-management programs. At the UTHealth School of Public Health in Brownsville, Dr. Belinda Reininger is using an ecological model to promote a network of interventions for success. To Reininger, professor of health promotion and behavioral sciences, that means remembering that an individual’s health is not solely determined by his or her genetic background. Rather, a wide variety of factors influence the health of communities and individuals. The ecological model promotes looking at these factors in addition to genetics to see what can be done to support a healthier Texas, with a special focus on obesity. Reininger partners with cities, churches, community groups and others to create a better health environment. Her efforts have helped initiate 81 free exercise classes weekly across Cameron County, held in accessible locations such as churches, schools and other community facilities. “We set these up in locations where people can gather and exercise for free, and have received a grant to expand to 131 locations. These classes have been very popular,” Reininger said. At the heart of her program is community health worker outreach, which uses social support to help ensure patients are getting the best, most accurate health information. At the core, she says, it comes down to doing things in a connected way. Whether collaborating with local organizations to find ways to connect people via cycling and walking or by working with a Spanish-language TV station to air a weekly segment on health, Reininger believes it’s critical to systematically work with community partners. And her integrated approach is paying off: In 2014, she and her team won the Robert Wood Johnson Culture of Health Prize. The Paso del Norte Institute for Healthy Living, of which Whigham is executive director, serves as a backbone organization offering support to, and facilitating collaboration among, many of the other groups in the Paso del Norte region that are working to address obesity. This support takes a number of forms. One has been to help organizations who are struggling with how to measure the nutritional intake of the people they’re serving. Many of these organizations were measuring changes in nutrition by asking people to self-report their vegetable intake, but that method had its weaknesses. People would over-inflate their intake or simply be unable to recall the exact number of vegetables they consumed. So Whigham and her colleagues worked to identify a fruit and vegetable biomarker and then developed a reflective spectroscopy device, or “veggiemeter,” that can be used to more accurately measure someone’s nutritional intake. While not every community health group requires a veggiemeter, some of the subtler shifts Whigham’s team have enabled are just as powerful. When working with a community food pantry, Whigham connected the organization with the founder of the Fresh Place Model, which helps empower pantry recipients to make better food choices and treats them with dignity. Previously, success at the food pantry was measured simply in the pounds and calories of food distributed and not in the quality of the food. Without shaming patrons for their food choices, the pantry now helps them identify better health options. The path to a healthier Texas includes a wide variety of routes, many of which intersect and overlap. Researchers at UT System institutions are working at many levels, whether focusing heavily on one route, looking at the path as a whole or even offering support to those forging the way. But all work for the same common goal: reducing obesity in Texas, in children and adults, and cementing healthier routines and habits for the future. Butte, N. F., Hoelscher, D. M., Barlow, S. E., Pont, S., Durand, C., Vandewater, E. A., ... & Gonzalez, A. (2017). Efficacy of a Community‐Versus Primary Care–Centered Program for Childhood Obesity: TX CORD RCT. Obesity, 25(9), 1584-1593. Butz, D. E., Weidmann, D., Brownsword, R., Cook, M. E., Schoeller, D. A., & Whigham, L. D. (2015, August). Immediate biofeedback for energy balance via expired breath δ 13 CO 2. In Engineering in Medicine and Biology Society (EMBC), 2015 37th Annual International Conference of the IEEE (pp. 8205-8208). IEEE. Hébert, E. T., Case, K. R., Kelder, S. H., Delk, J., Perry, C. L., & Harrell, M. B. (2017). Exposure and Engagement With Tobacco-and E-Cigarette–Related Social Media. Journal of Adolescent Health, 61(3), 371-377. Heredia, N. I., Lee, M., Mitchell-Bennett, L., & Reininger, B. M. (2017). Tu Salud¡ Sí Cuenta! Your Health Matters! A Community-wide Campaign in a Hispanic Border Community in Texas. Journal of nutrition education and behavior, 49(10), 801-809. Heredia, N. I., Lee, M., & Reininger, B. M. (2017). Exposure to a community-wide campaign is associated with physical activity and sedentary behavior among Hispanic adults on the Texas-Mexico border. BMC public health, 17(1), 883. Moreno, P. I., Ramirez, A. G., Miguel‐Majors, S., Sandra, L., Fox, R. S., Castillo, L., ... & Lad, T. (2018). Satisfaction with cancer care, self‐efficacy, and health‐related quality of life in Latino cancer survivors. Cancer. Perales, J., Reininger, B. M., Lee, M., & Linder, S. H. (2018). Participants’ perceptions of interactions with community health workers who promote behavior change: a qualitative characterization from participants with normal, depressive and anxious mood states. International Journal for Equity in Health, 17(1), 19. Ramirez, A. G., Chalela, P., Akopian, D., Munoz, E., Gallion, K. J., Despres, C., ... & McAlister, A. L. (2017). Text and Mobile Media Smoking Cessation Service for Young Adults in South Texas: Operation and Cost-Effectiveness Estimation. Health promotion practice, 18(4), 581-585. Ramirez, A. G., & Thompson, I. M. (2017). How will the ‘cancer moonshot’ impact health disparities?. Cancer Causes & Control, 28(9), 907-912. Salahuddin, M., Pérez, A., Ranjit, N., Hoelscher, D. M., & Kelder, S. H. (2017). The associations of large‐for‐gestational‐age and infant feeding practices with children's body mass index z‐score trajectories: the Early Childhood Longitudinal Study, Birth Cohort. Clinical obesity, 7(5), 307-315. Salahuddin, M., Pérez, A., Ranjit, N., Kelder, S. H., Barlow, S. E., Pont, S. J., ... & Hoelscher, D. M. (2017). Predictors of Severe Obesity in Low-Income, Predominantly Hispanic/Latino Children: The Texas Childhood Obesity Research Demonstration Study. Preventing Chronic Disease, 14.
measure of fruit and vegetable intake. In Engineering in Medicine and Biology Society (EMBC), 2015 37th Annual International Conference of the IEEE (pp. 8197-8200). IEEE.